Tarragon is an acquired taste for some and proves the point that you can have too much of a good thing: a pleasant anise hit can build to a mildly anaesthetising sensation that makes your tongue go numb. I think it is better cooked than raw which seems to mute this aspect. It loves fat. Oh yes. Roast tarragon chicken is gorgeous, simply gorgeous. It’s also good in egg dishes and makes great vinegar. Tarragon’s also one of the few herbs to retain its scent and flavour after drying. 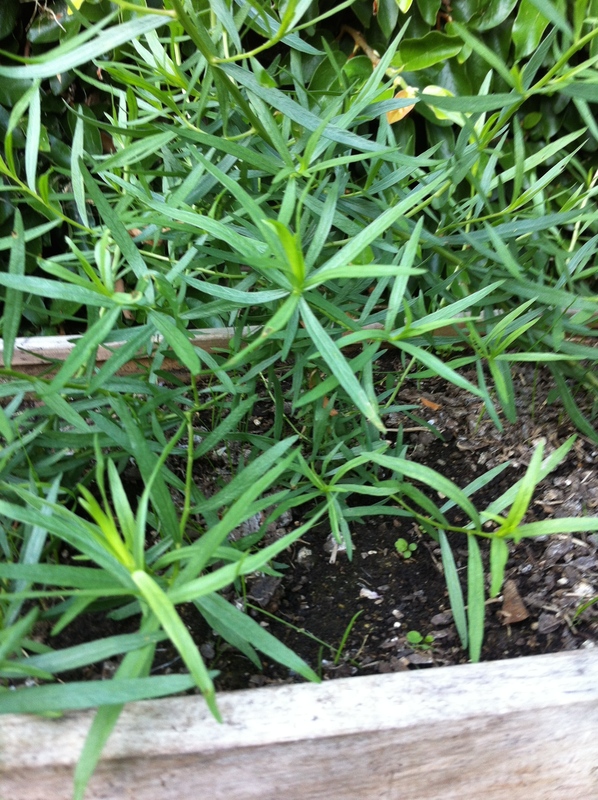 Grow tarragon in a warm, sunny spot in well-drained sandy soil. Cutting it right back in late autumn will encourage it to pop up again come spring. Every three years or so, break up the roots, divide them and replant. This prevents tarragon from becoming root-bound and strangling itself. Terrible thought. To dry tarragon either tie it with string and hang it somewhere airy and warm but out of direct sunlight, or if you only have a few sprigs, put them on a plate and leave in a warm kitchen until dry. At first glance visitors will either be alarmed thinking you have been going your own marijuana, or disappointed that you haven’t. Never mind. Look for French tarragon because other types such as the verdant, succulent Russian variety are all puffery and little substance (you want taste, not green leaves). A spectacular tumble of corn and avocado ... just thinking about it makes me go want to eat it all over again. Corn doused with lemon-infused oil and imbued with a hint of smoke is downright delicious. Get on to it! Not what you're expecting? Smoked fish and nectarines? How do you know what it's like until you try it: Summer in a mouthful!